Bichos Argentinos #11 – I’m out’a here! Neither of these photos are very good, but it’s the firefly’s fault. I saw it last month in a soybean field in Buenos Aires Province, Argentina. I got off the first shot, but the flash disturbed it and it started walking around. I quickly set up for another shot, got it framed, fired the shot, and saw the second photo on the screen! 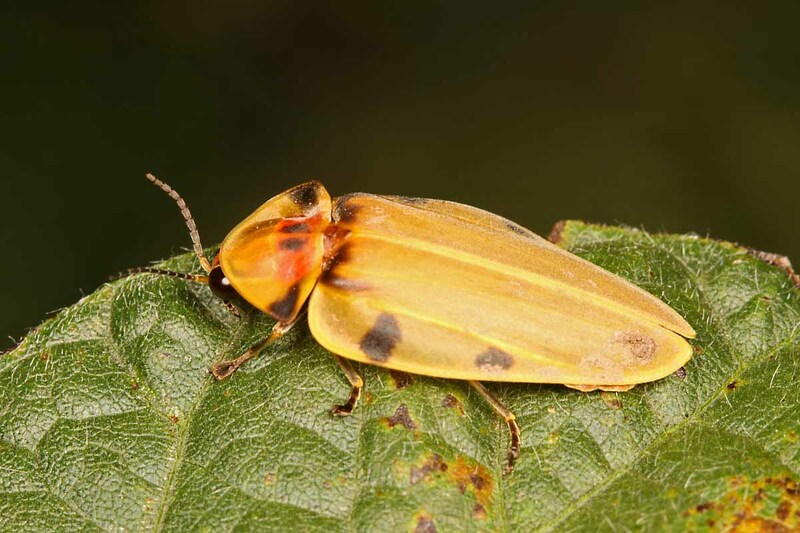 Everything about this firefly seems backwards – most fireflies are black with yellow, orange or red markings – this one is yellow with small black markings. The terminal segments of the abdomen are dark while the rest are light – opposite of most other fireflies. This one was out and about during the day, while most others are crepuscular or nocturnal. Maybe it’s a result of being in the Southern Hemisphere – opposite of most other fireflies I’ve seen. 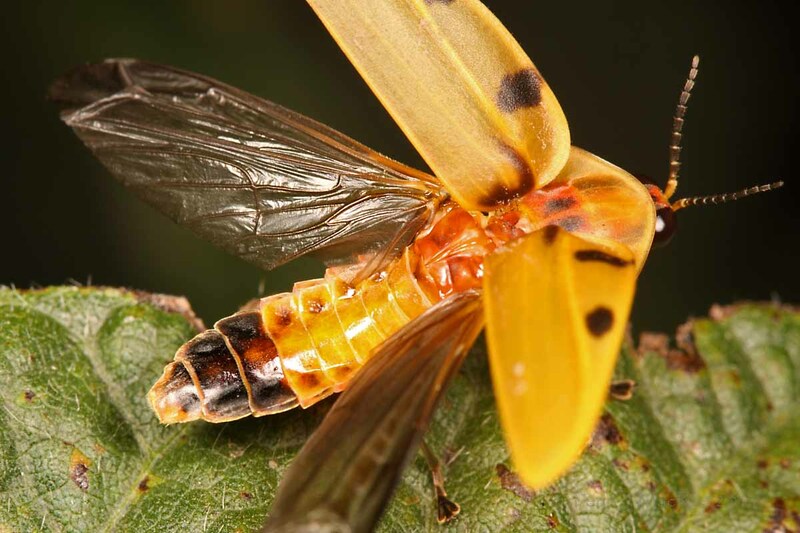 This entry was posted in Coleoptera, Lampyridae and tagged Argentina, beetles, entomology, firefly, insects, nature, science. Bookmark the permalink. 4 Responses to Bichos Argentinos #11 – I’m out’a here! I love it when an unexpected flight shot happens! I believe I’ve seen something similar to this in Brazil. First time it’s ever happened to me – well, at least the first time I managed to get the shot before it was out of frame! I didn’t find anything at all similar in my searching, although I didn’t really give this one a thorough effort. Was just going to say, I like that second one. Good action! Thanks, James. Never turn down action!